On 4th December 2013, the Bishop of Coventry received an answer to a written question on Syria. 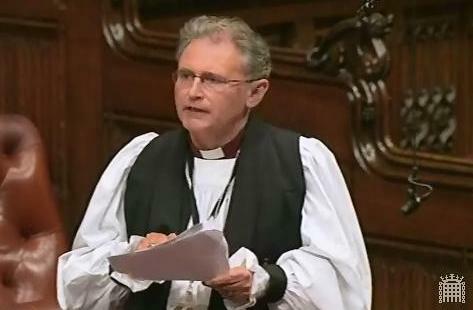 The Lord Bishop of Coventry: To ask Her Majesty’s Government what assessment they have made of Amnesty International’s report of 31 October on Growing Restrictions, Tough Conditions: The plight of those fleeing Syria to Jordan. Baroness Northover: The Government is committed to ensuring those affected by the crisis in Syria can get assistance wherever they seek refuge. We are providing multi-year financial and technical support to neighbouring countries, and for them to keep borders open. To date the UK has allocated £105.1 million to Jordan to support refugees and host communities. DFID also recently announced £12 million of development funding over the next two years to help local Jordanian municipal governments maintain and improve public services. Neighbouring countries have been extremely generous in hosting Syrian refugees, and we urge them to continue to show that generosity by welcoming those seeking safety keep their borders open.